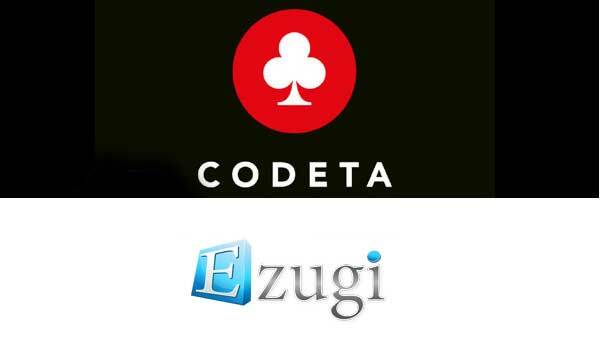 Codeta Adds Ezugi Live Casino Games - Live Dealers from Costa Rica. 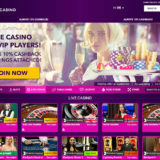 Codeta is fast becoming the go to site if you want to play Live casino games. 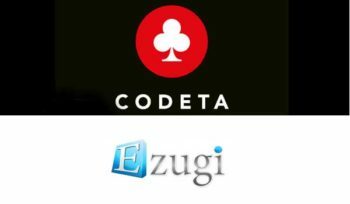 They’ve now got a selection of 6 Live Casino suppliers as Codeta adds Ezugi live casino games this week. Ezugi is one of those suppliers that is improving their games and reach on almost a monthly basis. 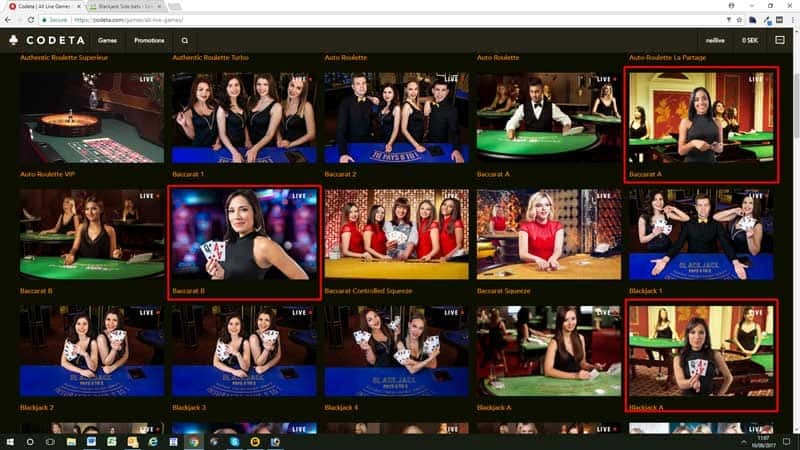 They have studios in Belgium, Bulgaria, Costa Rica and live streamed Baccarat from Queenco Casino in Cambodia. At this time I’ve only been able to find the games from the Costa Rican Studio, but that’s not to say more are not on the way. 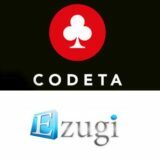 Ezugi is supplying 7 Seat Blackjack, Roulette and Baccarat (both Studio and Land Based tables). 4 tables of 7 Seat Blackjack. 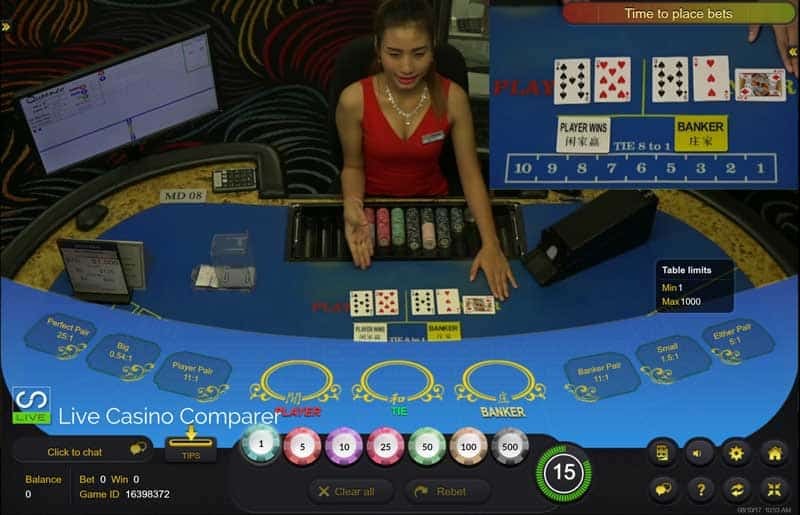 4 Live streamed Baccarat tables from the Queenco Casino in Cambodia. 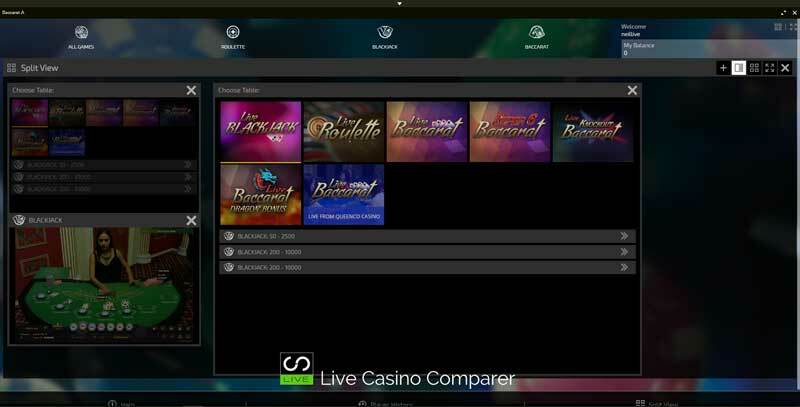 2 Studio based Baccarat tables with Dragon Bonus, Super 6 and Knockout side bets. 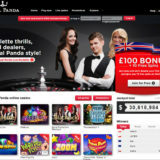 Identifying the games is one of the most difficult things on the Codeta site. It’s one area that lets them down. I’ve highlighted in Red the boxes you should click on to get to the Ezugi games. You’ll be taken straight into a game but if you select the home key you’ll get to the main Ezugi Lobby. 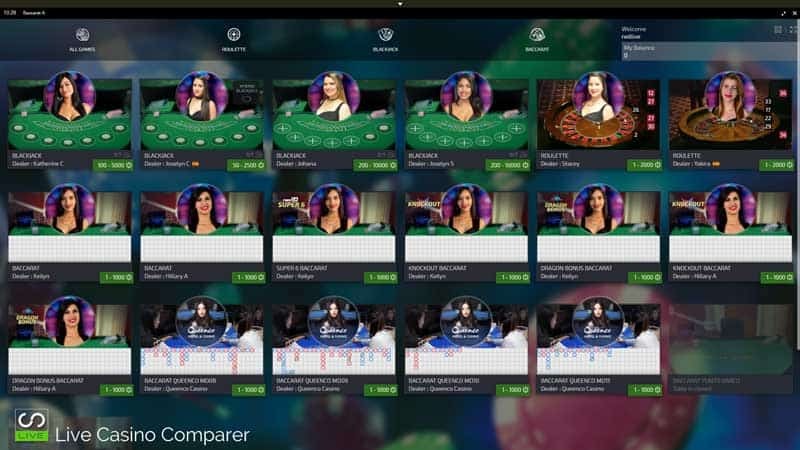 The game is played with 8 decks, and has standard blackjack side bets of 21+3 and Perfect Pairs. 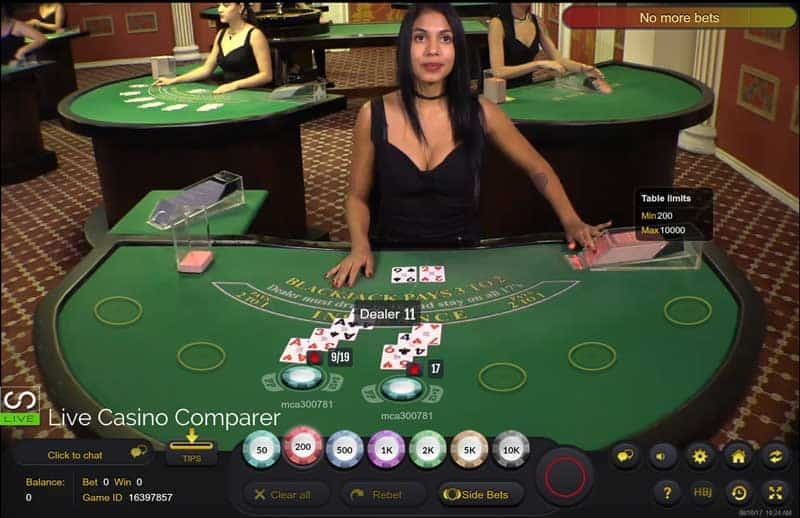 The game has some of the best playing rules around, read my detailed review of Ezugi Blackjack for more details. 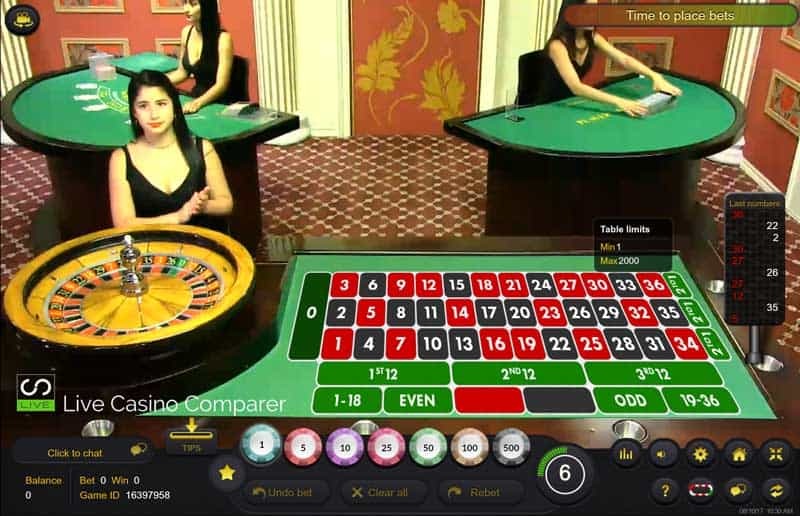 Roulette is standard European played with one Zero. There are two tables, one with a full setup and one with just a wheel. Speaking from personal experience I’m not surprised they’ve gone for a shortened version of Roulette as space in the studio is quite tight. This solves a problem for them and is a new innovation that’s been added since my visit in May 2017. 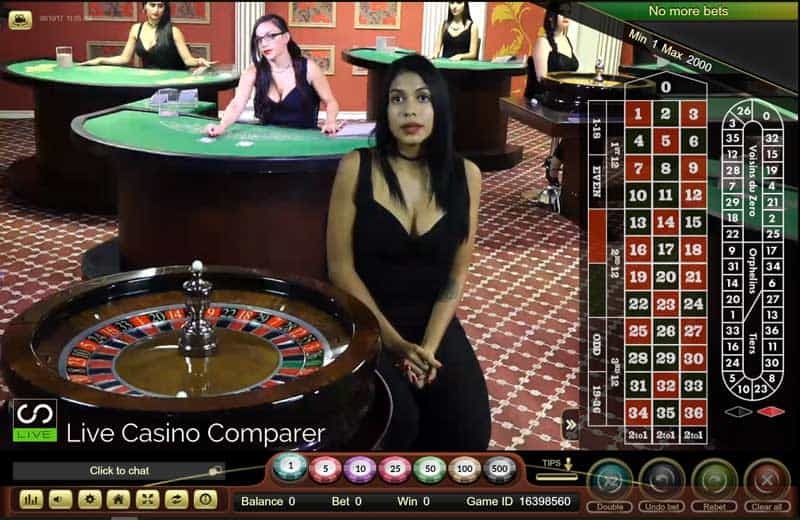 There are two versions, the Studio based tables and the live streamed tables from the Queenco Casino in Cambodia. 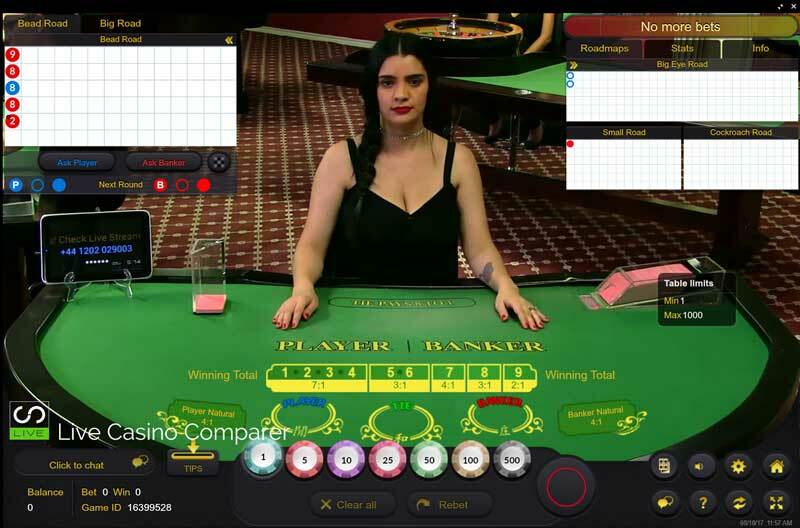 It’s possible to play multiple games at the same time, as Ezugi has developed a nice interface to layout multiple tables. You have a choice of how you configure it, so you can get it to suit your playing style. Unfortunately, not all players and that’s me included will be able to play at the tables at Ezugi. 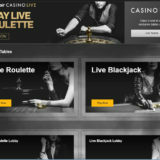 So if you’re from the UK, US, Netherlands or Israel you’ll have to try one of the other live casino providers at Codeta. Thankfully they have a few.